Made of high-quality polyester fabric for durability and wrinkle resistance. Protect your hand with a padded handle. The shoulder strap features a PVC high-quality adjustable buckle, which can adjust the length of the shoulder strap at will, practical and beautiful. The camouflage bag features hooks for easy hanging of cups, umbrellas and other small items. Breathable airbag on the back , more comfortable and healthy. It features convenient side pockets for storage of mobile phones, Ipad and other personal belongings. 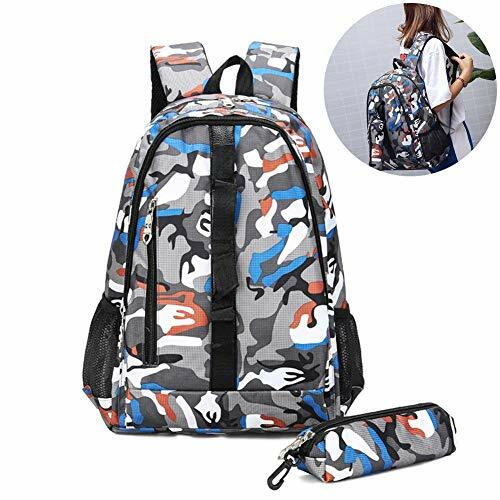 It is equipped with a small storage bag to hold some small items and it can be hung on the backpack. Made of high-quality polyester fabric for durability and wrinkle resistance. Protect your hand with a padded handle.